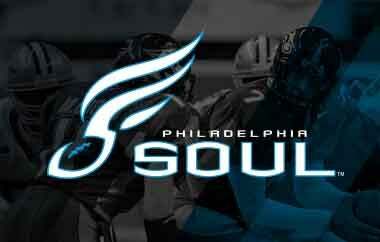 Thank you for your interest in the Philadelphia Soul. For more information on Season Ticket Memberships and Group Experiences, please visit www.philadelphiasoul.com or call 888-789-SOUL. The Philadelphia Soul are one of the premier franchises in the Arena Football League and are the winningest professional sports team in Philadelphia since their inaugural season in 2004. The Soul have notched four (4) Division Championships, four (4) Conference Championships and three (3) World Championships - 2008, 2016 and 2017. Philadelphia Soul games provide a hard-hitting, high-scoring, non-stop entertainment experience. For additional information, please contact the Soul at 888-789-SOUL or visit philadelphiasoul.com.